As far as handbags go, Gucci is the cream of the crop. Ever since the label was founded in Florence in the 1940s, their leatherworking skills have set the world of accessories alight, attracting a stream of socialites, royals, movie stars and models to their boutiques. Now, thanks to the Zalando Lounge Gucci handbags sale, that kind of glamour is available for everyone. So let’s discover more about what’s on offer, and what makes Gucci’s bags so extraordinary. Firstly, every Gucci bag tells a story – the story of how Gucci emerged from being a small leatherworking workshop to a global fashion juggernaut, without compromising their principles. Along the way, they received help by some stellar names. For example, in 1961, the label created a famous shoulder bag exclusively in honour of Jackie Kennedy (later Onassis), who was at that time probably the most famous woman in the world. With friends like that, Gucci prospered, and its range of bags became a global phenomenon. But it wasn’t all about celebrity endorsements. Their bags are also built on age-old Italian craft skills, which enabled them to create such distinctive fabrics and details. Through skillful weaving techniques, they created the GG canvas in the 60s, incorporating a delicate diamond pattern with the GG logo at its core. And they also perfected rougher weaves with the red and green Gucci stripe. Both are still available in contemporary collections, alongside the beautifully embossed Guccissima fabric, as well as floral prints (made at the request of actress Grace Kelly when she became Princess of Monaco). So Gucci handbags are little craftsmanship miracles as well. 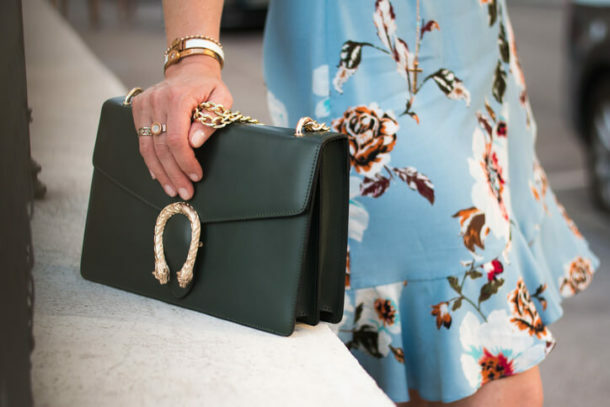 Above all, though, you’ll find astonishingly beautiful designs at the Gucci handbags sale at Zalando Lounge. More than anything else, these bags are designed to turn heads and make a visual impression. Whether you opt for an Ophidia shoulder bag with its vibrant dragon decoration, a richly toned Dionysus bucket bag with a golden chain or a dashing Python bag made with a snakeskin-style material, all of Gucci’s handbags measure up in the aesthetic department. And that’s why women across the world love them so much. Mixing heritage, fine materials and gorgeous looks, Gucci bags are a delight to wear, whatever the occasion. There’s also plenty to choose from when you select a Gucci bag. If you need more space to store essentials, there are tote bags which can be carried or worn over the shoulder (as well as shoulder bags which are extra comfortable to carry). You’ll find suede mini bags with the Gucci stripe and a handy side zip, for days when all you need to carry is your wallet, smartphone and a few extra items for emergencies. And there are rucksacks, belt bags, cross-body bags and clutches as well. Whatever style of Gucci bag you desire, Zalando Lounge is the ideal place to make a purchase. Forget about paying full price for these premium accessories. 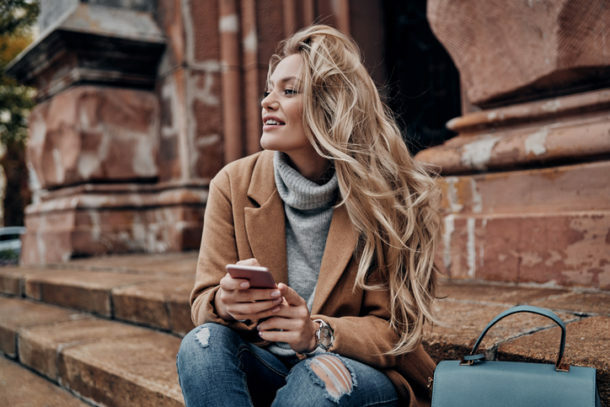 If you don’t have an account, signing up takes no time at all, and you’ll immediately be able to join the fun, snapping up designer bags at bargain prices. Don’t leave the finest bags in the world for others to enjoy. Add a touch of elegance to your outfits today!